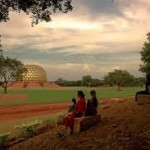 Daily tasks: Follow-up and development of existing gardens of the Matrimandir. Develop technical drawings of the gardens and plantations, plan out the planting. 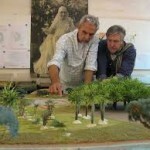 and planning for the plantation. Daily tasks: Helping in the preparation of organic inputs, for pest and disease control, and in nutrient management. Care and maintenance of the existing plants and green spaces. Continous beautification and harmonizing of the Matrimandir area in a 100 % chemical free environment.